The longest day of sales! Home / Blog / The longest day of sales! 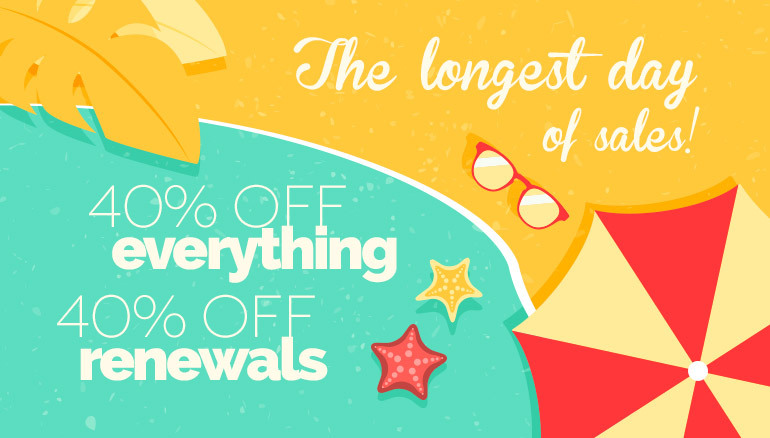 In the longest day of the year, the discounts orbit around RSJoomla! products just like the Earth orbits around the Sun! The Summer Solstice is just around the corner and it brings special discounts! This promotion is available on June 21st - 10:00 UTC +3 - June 22nd - 16:00 UTC +3. The discount will be applied automatically to your purchase and no coupon code is required.